Living in close proximity to the beach in L.A. can be both a blessing and a curse (more like 99% blessing, 1% curse) as it’s such a popular touristy spot and gets very crowded in the summertime wherever you go! Lol #ILiveWhereYouVacation. However, an AWESOME perk is that I have amazing FREE concerts every Thursday night from July to September! 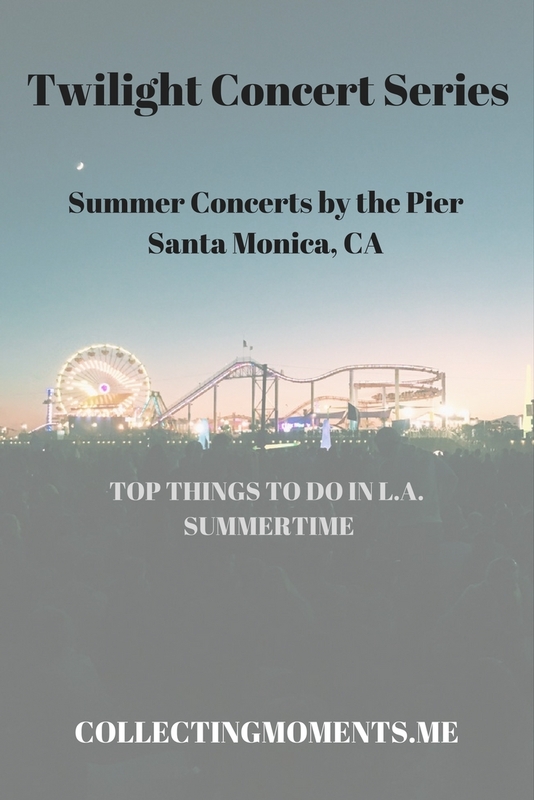 The Twilight Concert Series at the Santa Monica Pier is just that: free concerts every Thursday night showcasing various artists and an overall good time. It’s a very fun event to go to with a group of friends, as a date, or simply to enjoy your Friday eve (Yes, you say Thursday, I say Friday eve!) You can either pack light, get there early, and enjoy the concert on the actual pier where the stage is located, or you can pack an amazing picnic setup, grab some blankets, drinks, delicious food, and secure a spot by the beach on the side of the pier (This is what I usually do!). Do pack blankets and wear LAYERS! Even if it’s sunny when you first get there, once the sun goes down, it gets chilly with the cold wind blowing from the ocean. Also, the parking situation and traffic can get a bit annoying – my advice is to park far away (maybe by Santa Monica Main Street or surroundings) and walk! Make sure to attend this event if you happen to be visiting L.A. in the summertime! It’s fun, different, and again, FREE!